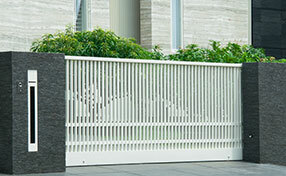 When a gate is installed, there needs to be a way for people to be allowed entry into the gated area. There are a few different ways that access can be gained and the most common way is through an Intercom System. There are many different brands of intercom systems such as Door King system, Linear system or Aiphone intercom. These brands are top quality and manufacture state of the art products. You can trust that “Gate Repair Sherman Oaks” will only provide you with first-class products and its intercom installation technicians will offer excellent technical work. We will also make sure they are programmed properly and work according to the needs of the client. 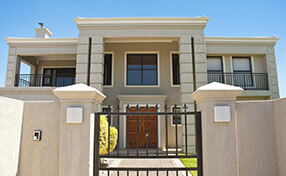 An Intercom System is the most common type of entry system that is used with gates. When visitors come to the gate, they push a button on the gate intercom system and announce themselves to the homeowners. A signal is then sent from inside to the gate and the gate opens. You can have a visual of the visitor and two ways verbal communication. This is certainly convenient and increases security. 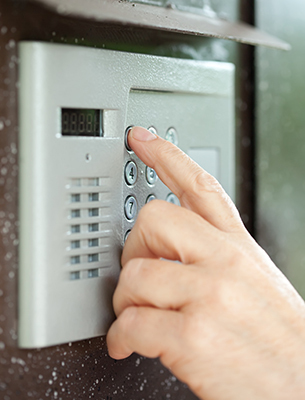 Of course, out gate repair specialized teams will guide you in choosing the right intercom for your home or for a bigger building and facility. The capacities of each intercom change based on your own needs and our assistance will be invaluable. The damage can be from wear and tear to the machine or it can be from human error. No matter the cause of the damage, our intercom repair technician will need to be sent out to assess the damage. Small repairs can typically be done on the spot. 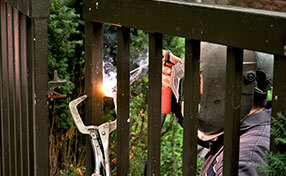 Larger repairs may require additional tools, man power and parts. The technician on scene will be able to tell you exactly what additional parts or tools, if any, are needed and the time frame associated. Most of the times, the professionals of Gate Repair Sherman Oaks manage to complete the phone enter system service at once and our work is always thorough. Call if you need intercom service today!